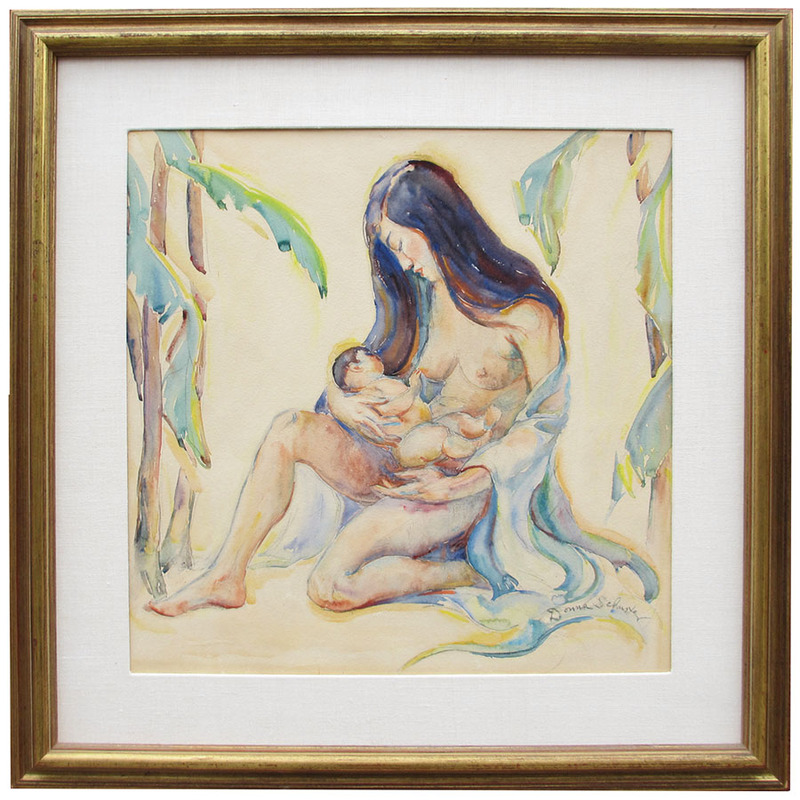 Donna schuster (1883-1953) “Mother and Child” watercolor, pencil and gouache within a giltwood carved frame and protective glass. Signed ‘Donna Schuster’ (Lower Right), circa 1920-1930. 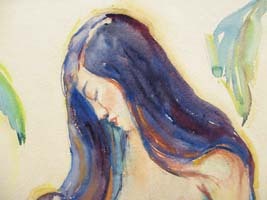 Donna Norine Schuster was born in Milwaukee, Wisconsin on January 26, 1883. She attended the Chicago's School of the Arts and later studied under Impressionist artists Frank Benson and Edmund Tarbell at the Boston Museum of Fine Art. 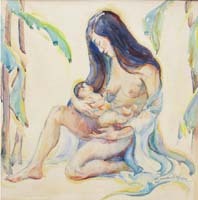 Donna's works were influenced by Impressionists like Claude Monet and William Merritt Chase, whom she studied at his Carmel, California Studio in 1914. That same year she was commissioned to paint some artworks for the 1915 Panama-Pacific International Exposition in San Francisco. Donna Schuster's art works have been exhibited in numerous museums and art galleries around the country. Exhibitions: Panama-Pacific International Exposition in San Francisco, California. Panama-California Exposition in San Diego, California. Los Angeles County Museum of History, Science, and Art. San Francisco Art Association. New York Academy of Fine Art. Donna schuster (1883-1953) “Mother and Child” watercolor, pencil and gouache within a giltwood carved frame and protective glass. Signed ‘Donna Schuster’ (Lower Right), circa 1920-1930. Donna Norine Schuster was born in Milwaukee, Wisconsin on January 26, 1883. She attended the Chicago's School of the Arts and later studied under Impressionist artists Frank Benson and Edmund Tarbell at the Boston Museum of Fine Art. 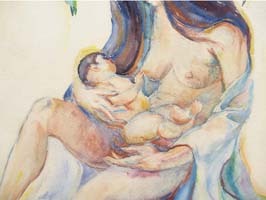 Donna's works were influenced by Impressionists like Claude Monet and William Merritt Chase, whom she studied at his Carmel, California Studio in 1914. That same year she was commissioned to paint some artworks for the 1915 Panama-Pacific International Exposition in San Francisco. 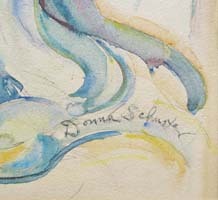 Donna Schuster's art works have been exhibited in numerous museums and art galleries around the country. Panama-Pacific International Exposition in San Francisco, California. Panama-California Exposition in San Diego, California. Los Angeles County Museum of History, Science, and Art. New York Academy of Fine Art. Downey Museum of Art, California. Orange County Museum of Art, California. Laguna Beach Museum of Art, California.